The Pixel 3 is Google’s third generation in-house design, meant to showcase the company’s own view of what an Android device should be, whilst fully embracing Google’s first-party software applications and services. The one thing Google’s Pixel phones have become synonymous with is the camera experience. The Pixel 3 continues this focal point of the line-up, and promises to be “the best smartphone camera”, period. 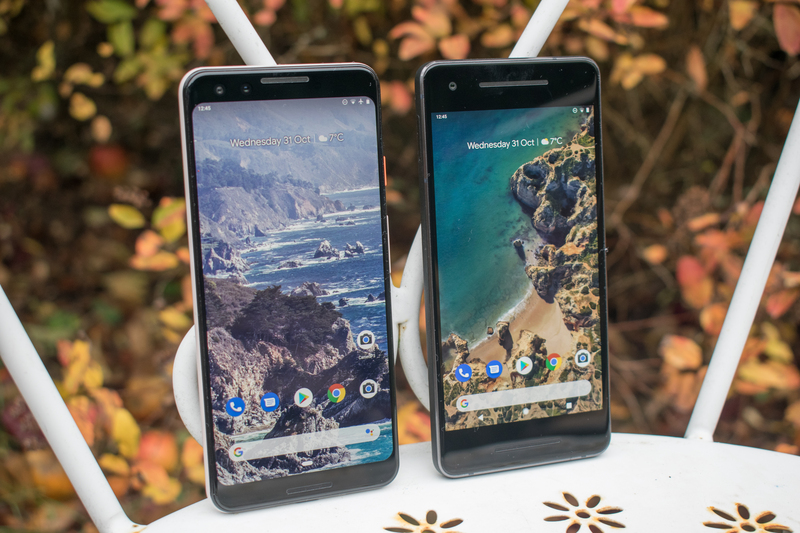 Alongside Google's forte, software, this year's Pixel family has pushed forward with a few hardware design choices, some of which we might have liked to have seen last year. The new units have updated panel technology, integrated wireless charging, and even fast wireless charging. Also now for Google, the Pixel 3 actually looks like a current flagship smartphone, compared to the Pixel 2 which did not at the time. 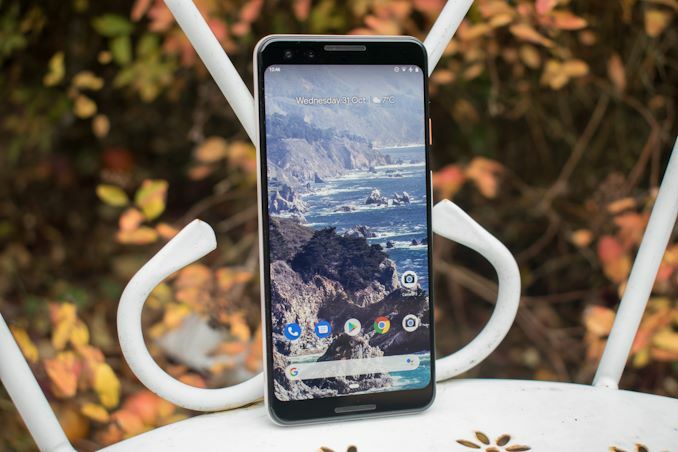 This year’s Pixel 3 phones hope to maintain the software advantages, doubling down on them with various new innovative features, especially on the camera side, whilst addressing the hardware aspects to be considered a true vendor flagship of a very competitive generation. In this full analysis of the Pixel 3, we'll cover the hardware, the design, the software, and a detailed look to what makes users rave about the camera. We've tested over 18 current and former high-end smartphones worth of cameras to get to our conclusions, with all the analysis contained within these few pages. Commentary is of course, more than welcome. 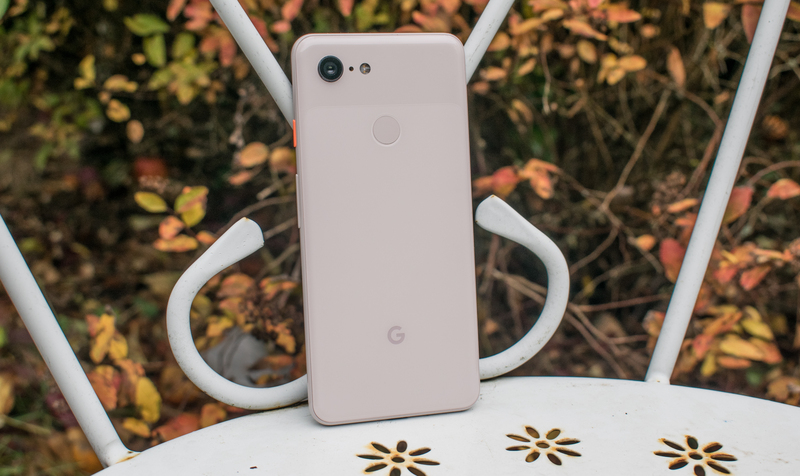 It should be noted that for this review, unfortunately we only were able to get our hands on a regular Pixel 3, colored in 'Not Pink'. We do hope that sometime in the future we’ll be able to do a battery update on the bigger Pixel 3 XL once we’re able to source one. 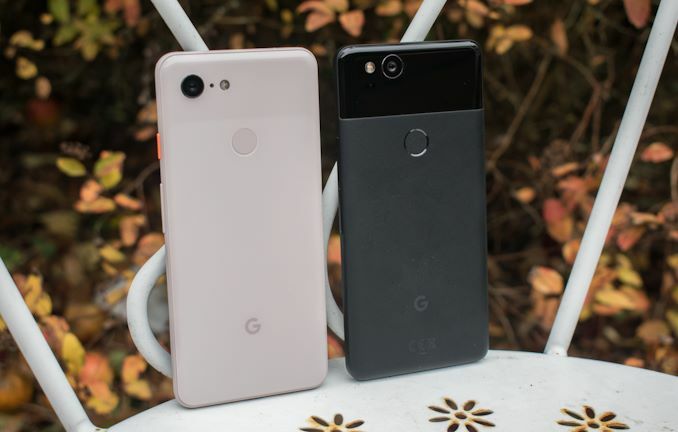 In terms of hardware specifications, the new Pixel 3 family follows the many Android flagships trend of this year: at the heart of the phones, the Snapdragon 845 SoC is powering the devices. 2018 has been an excellent competitive year for Qualcomm and the S845 was able to take the performance lead among its Android competition. One thing to note here if you’re considering a Pixel device is that Google’s release schedule is very much out of sync with the silicon vendor’s SoC lineups - meaning users investing in a Pixel are buying a flagship phone whose silicon is by now 8 months old, and will most likely will be superseded by its successor in just a few months’ time. For those that want the leading edge, the Pixel 3 might be a short lived experience. However that doesn't detract from what is under the hood today. Google also outfits the Pixel 3’s with relatively conservative DRAM and storage options. Both phones come with 4GB of RAM as well as a base storage variant of 64GB, with the option to buy a higher tier 128GB variant. Most of Google's competition are offering 6GB+ versions at similar pricing it should be noted. In order to combat this low memory, one new hardware/software feature is an application memory management 'lowmmemorykiller' background application/daemon which applies various settings to keep certain software in memory for fast app loading times. Whilst in general I don’t put as much value into this as some other people do, I did however notice that in everyday use the phones did need to reload applications more often. There have been user reports already that the phones are struggling to keep things open and alive in memory. No doubt additional tuning of the memory management will be done through updates and the lifecycle of the unit. Design-wise, the Pixel 3 is a big upgrade over the Pixel 2. Gone are the 2015 top and bottom bezels, and instead we find a more contemporary design with an elongated 18:9 (or 2:1) aspect ratio screen, vastly increasing the screen-to-body ratio of the phone. The screen is still an OLED with an FHD+ resolution (2160 x 1080 pixels) – though this year it seems that Google has split suppliers between the small and XL variants, with the Pixel 3 panel now being manufactured by LG while the Pixel 3 XL uses a Samsung panel. On the front of the device, we luckily don’t need to go into any big controversial discussions about a notch as the small Pixel 3 (As opposed to the 3XL) doesn’t have one. 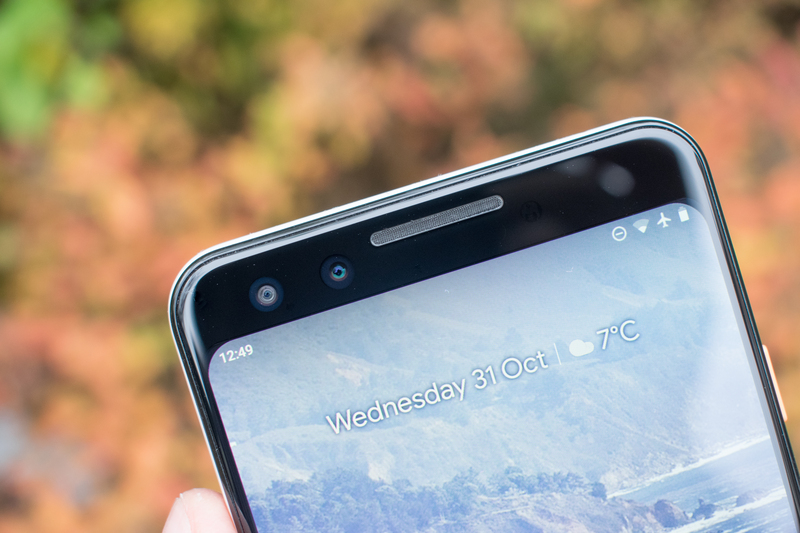 What is new for both of the Pixel 3 smartphones is a secondary wide-angle front-facing camera, allowing for wider selfie shots or simply a wider field of view when doing front video recording or communications, which is actually quite handy. On the back of the phone, we also see a big design change: Google has switched over from a metal unibody design with a top glass cut-out, to a full glass back panel. Google still maintains the same contrasting glossy glass design feature at the top of the phone, and achieves this by chemically etching the bottom part of the glass to a matte finish. The matte feel of the glass is extremely similar to the design of the OnePlus 6’s etched models, and it does stand out as a completely different feel than one might be used to from glass phones. It really helps with the grip, and totally avoids fingerprints. My only issue here is that Google didn’t extend this finish to the very edges of the glass back, as well as leaving out a 1mm ring around the fingerprint sensor, the latter whose shadows on the glass looks very odd and a bit cheap. Going for a glass back allows Google to now adopt wireless charging, and supports the Qi standard. The phone also supports fast wireless charging up to 10W. Unfortunately again, it seems that Google is only allowing this on certified chargers, thus not really adhering to the Qi fast-charging standard. This means almost all existing 'fast' wireless chargers will be limited to 5W. Google bundled its own Pixel Stand wireless charging pad with the reviewer kits (It's not bundled with commercial units), and it works as well as it says on the box. One big hiccup I noticed is that the Stand will only accept certain USB-C chargers with PD at certain voltages – so users are restricted to the bundled power supply as well as a limited number of USB C PD chargers to even power it on at all. It should be noted that the glass on the rear has some flex even under light pressure, and I can hear it touching the internals (charging coil and battery). This was one of the first things I noticed when unboxing the phone, and it makes it feel a lot less well built as for example glass backs from Samsung or Apple. 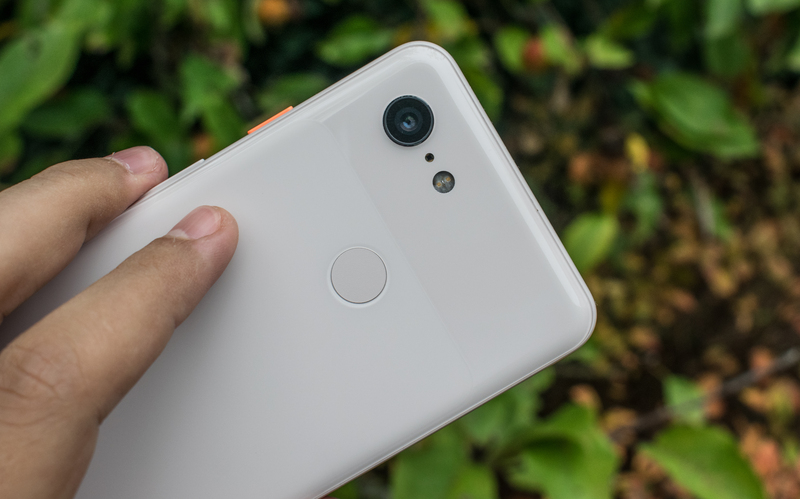 The camera on the Pixel 3 sees a minor sensor upgrade from the Sony IMX362 to the IMX363 – both units are 12.2MP sensors with 1.4µm pixel pitches. The aperture is also the same at f/1.8. There are no secondary modules here, and Google prefers to fall back to software innovation for improving zoomed in pictures: the Pixel 3 exclusively ships with a new “Superzoom” mode that promises to improve digital zooming, more on this later in the camera section where we’ll have a very big comparison with most of this year’s flagship devices. The left side of the phone is bare of any buttons, and we find the power and volume rocker on the right side. Google accentuates the colour of the power button, on my “Not pink” pink unit this is a very neon orange that just doesn’t pop up in images as much as it does in real life. On the top of the phone we find a microphone hole. The bottom sees the single nanoSIM slot as well as the USB-C charging port. 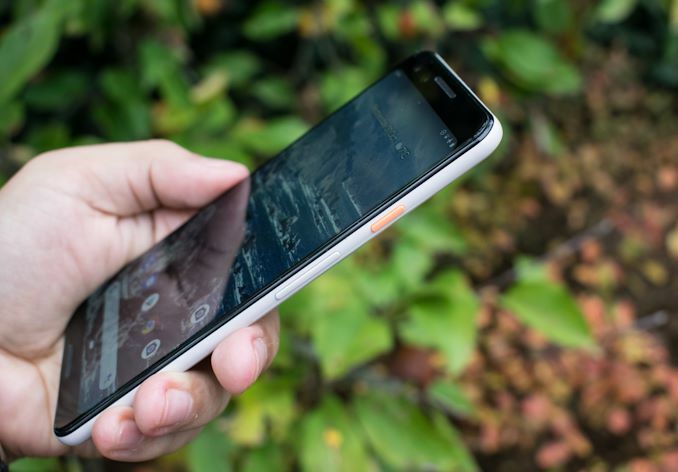 Like on the Pixel 2, the Pixel 3 units do not offer any headphone jack. One argument for the removal of the headphone jack, beyond the by now debunked claim that it offers larger internal space dedicated to batteries, is that it allows for better audio quality. Indeed if headphones have their own DACs built-in, then they can be calibrated to the sound profile of the individual headphones, instead of relying on the phone to serve a correct frequency response. That being said, unfortunately the USB-C earbuds bundled with the Pixel 3 are among the worst I’ve ever listened to and can be easily described as complete rubbish. I would easily choose USB-C earbuds from any other primary smartphone vendor. Hey, as we speak about chips - can you include/test the note 9 exynos? It's bigger body compared to the s9 and also has a lot better coolling. We all read your articles about the exynos 9810 + a lot about in @ xda, but it will be really nice to see where the more popular note 9 exynos stands with it's bigger coolling and body compared to the competition and s9/s9+. As a P3XL owner, I can say this review completely matches my experiences. Thanks! The camera was a lot of work. That last night shot is pretty similar to a comparison I showed my friends when they thought that it was just a gimmick. I've posted night mode pictures in daylight scenes as well, just to answer this question. Thank you for again the best set of samples on the net! This night mode just doesn't cease to amaze me, it preserves DR and enough(I'd say over 80%) resolution while accurately suppressing noise that it surpasses auto often enough even in daytime!